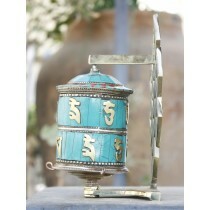 This beautifully handcrafted prayer wheel sizes 6.5" height rotates by spinning. 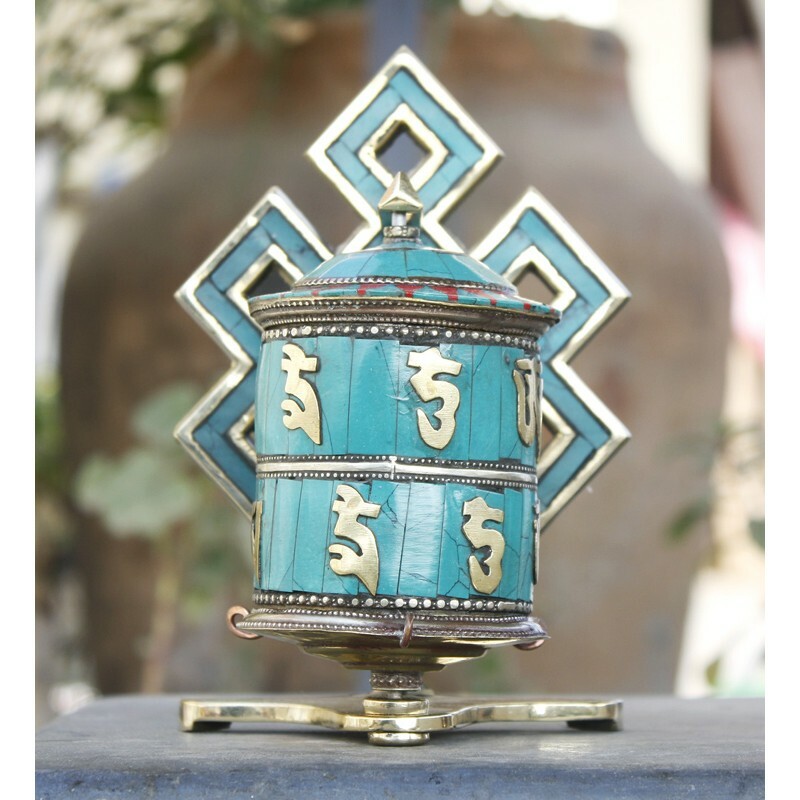 Prayer wheel is crafted with use of brass and precious stone like turquoise and coral. 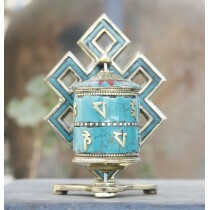 "Om Mane Padme Hum" the Buddhist mantra is filled in this prayer wheel. 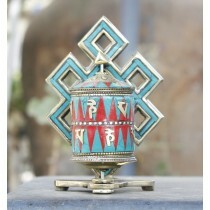 The mantra in common on all type of Buddhist prayer wheel. The mantra is six syllables mantra of Avalokitesvara. Mantra are empowered by enlightened beings to benefit others. The word mantra means mind protection. It protects the mind from ordinary appearances. 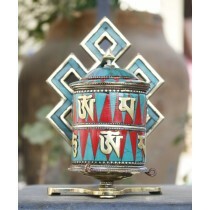 "Om Mane Padme Hum" is the powerful Buddhist Mantra which is rolled inside prayer wheel. Mantra is six syllables mantra of Avalokitesvara. Mantra are empowered by enlightened beings to benefit others. The word mantra means mind protection. It protects the mind from ordinary appearances .The mantra contains all the blessings and compassion of Avalokitesvara. Turning a prayer wheel creates extensive benefits for all because prayer wheel are the manifestation of the compassion Buddha's holy speech. Because of an holy object prayer wheel has power to eliminate the self-cherishing mind that keeps us from realizing perfect compassion and thus reading enlightment. By turning a prayer wheel with a motivation of compassion for all beings and reciting the mantra "Om Mane Padme Hum" you will accumulate good merit and purify obstacles. 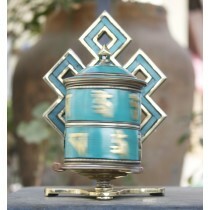 Prayer wheels are used to accumulate wisdom and merit (good karma) and to purify negative (bad karma). The concept of the prayer wheel is a physical manifestation of the phrase "turning the wheel of Dharma" which described the way in which Buddhist taught. Ancient text tells us that prayer wheel was brought on this world by a famous Indian Buddhist Scholar Nagarjuna.